Cryptocurrencies such as Bitcoin, Ethereum and EOS are in use throughout the Internet but how much is each worth? 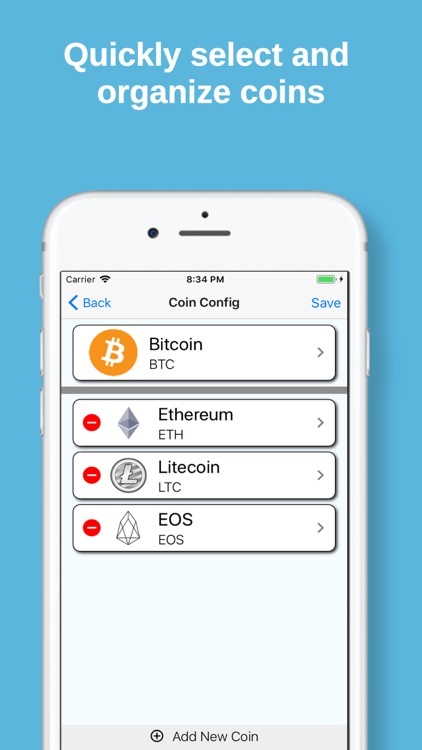 Use Crypto Convert to quickly and conveniently convert the values of your cryptocurrencies between each other and fiat currencies. 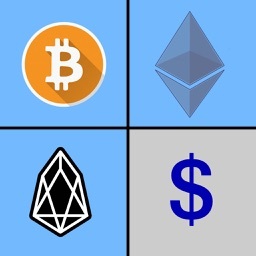 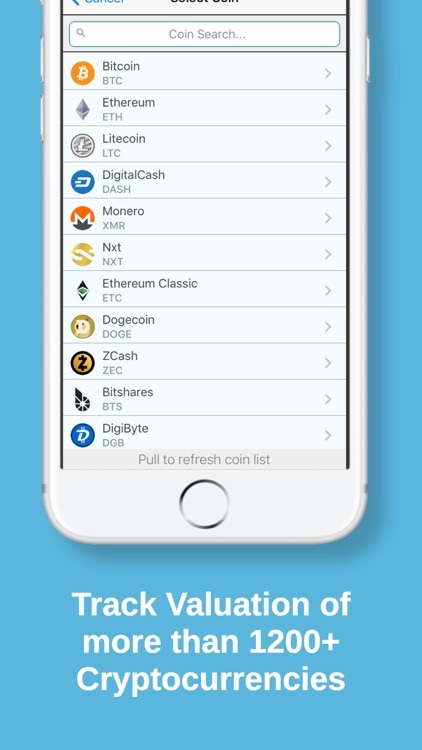 The app provides an easy to use user interface that lets you select between more than 1200+ popular crypto-coins including Ethereum, Bitcoin, ZCash, Litecoin, Dash and many others. 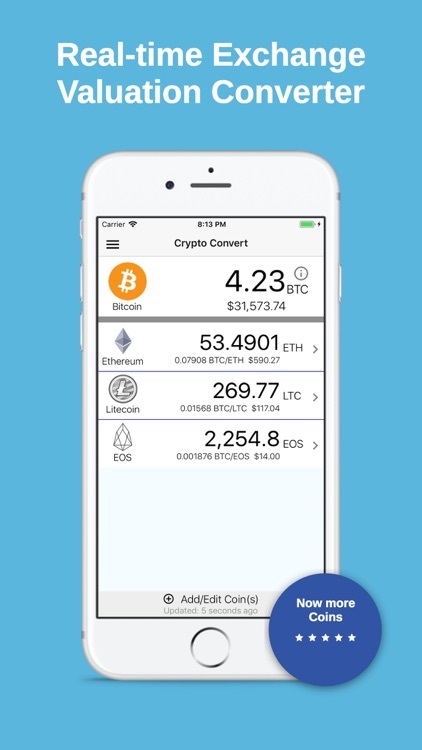 Use Crypto Convert to quickly check the value of each of your cryptocurrencies and it's completely FREE! 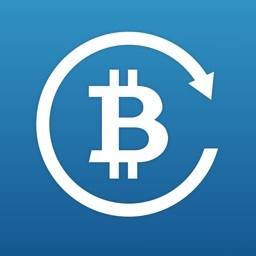 - Now handles more than 1200+ cryptocurrencies across multiple exchanges. 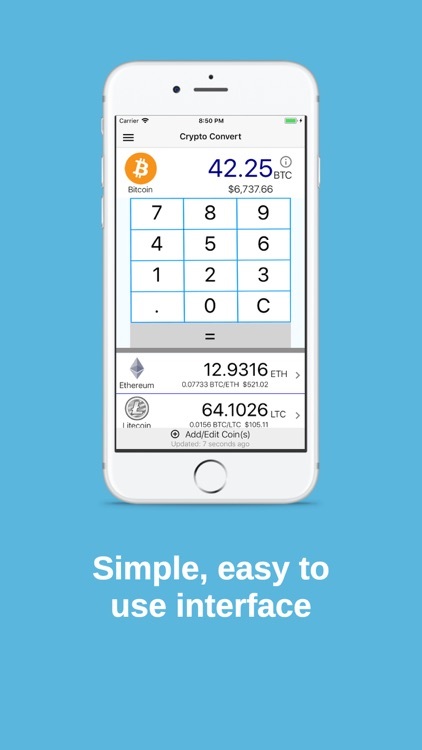 - Clean, uncluttered, flat user interface lets you check the values quickly and easily. 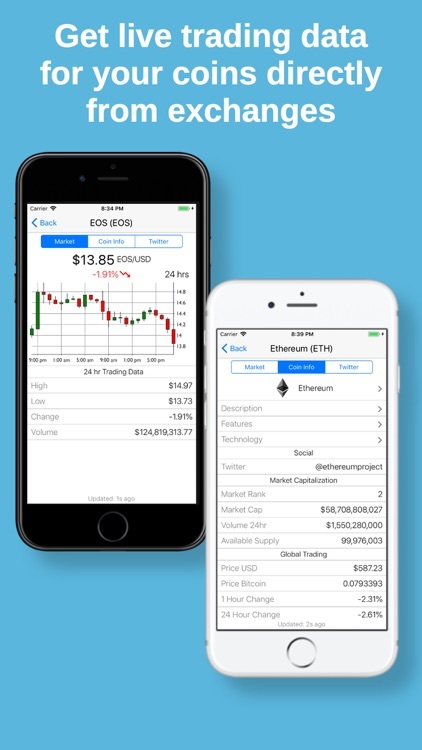 - Configurable price alerts for each coin. 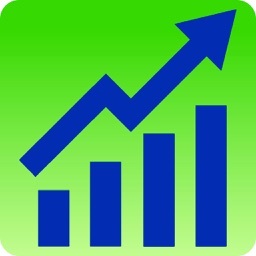 - Uses current trading values from many of the popular trading exchange. 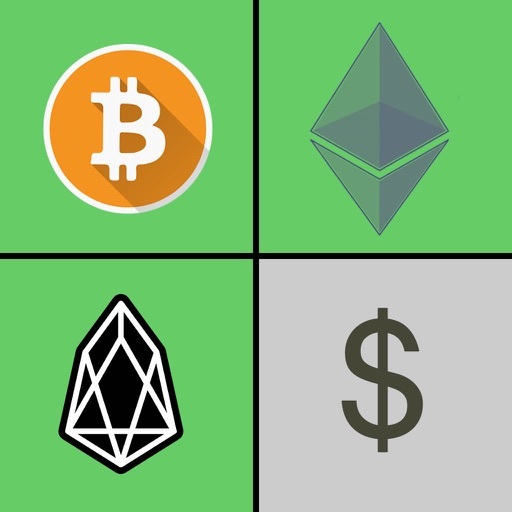 - Includes Bitcoin, Ethereum, Ripple, EOS, Dash, Bitcoin Cash, Zcash and many more. 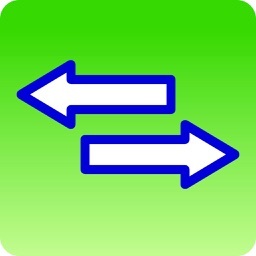 Best of all, this handy conversion app is available for FREE.